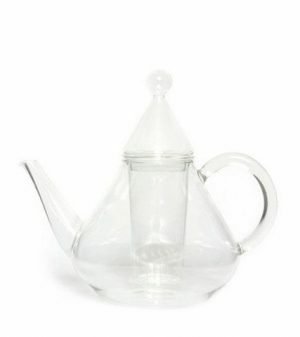 A perfect personal infuser teapot with a sophisticated appearance that makes 1-2 cups of loose-leaf tea at a time. The PRESTON from GROSCHE is the perfect infuser teapot for steeping and removing the tea as you please. It makes 1-2 cups of loose-leaf tea at a time, ideal for one person. The mix of high-quality borosilicate glass and polished stainless steel accents give it also a sophisticated appearance. Making the perfect cup of loose-leaf tea means being able to stop the steeping when the tea is just right. The PRESTON infuser teapot solves that problem with a movable infuser. Simply raise the infuser up when the tea is ready and avoid any bitterness. You can even add more hot water into the pot, and just lower the infuser to re-steep your loose-leaf teas. 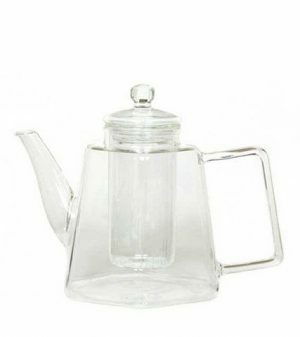 The PRESTON is a handmade infuser teapot made of heatproof borosilicate glass. 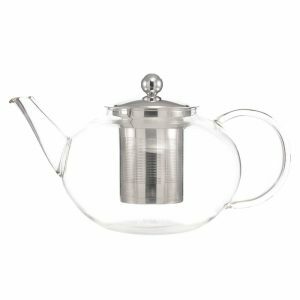 The glass teapot sits in a stainless steel holder with a soft-touch plastic handle that stays comfortably cool. The ultra-fine polished stainless steel infuser is not fragile like glass infusers. The micro pores also make sure your loose-leaf tea can infuse completely without escaping the infuser. 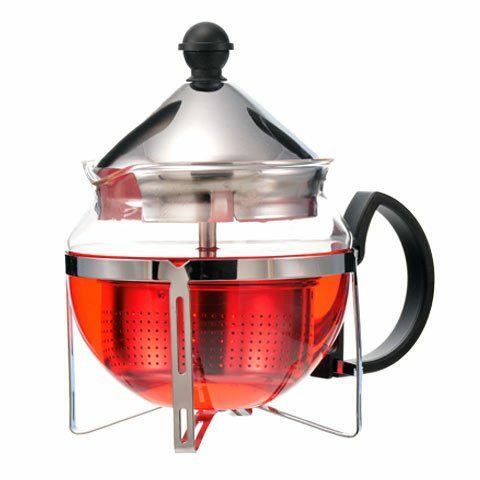 Place your favourite green tea, black tea, oolong tea or any other loose-leaf tea into the stainless steel infuser. Next, pour hot water into the teapot and drop the infuser basket into the hot water. The tea will slowly gain colour and expand comfortably in the infuser providing you a flavourful tea experience. Once your loose-leaf tea has finished infusion, use the infuser’s handle in the lid to raise it above your tea and rest the basket above the water. For every product sold, GROSCHE provides 50+ days of safe drinking water for people in need through the GROSCHE Safe Water Project. GROSCHE is a Social Enterprise and a certified B Corp, which is the highest certification for businesses that are good for the world.